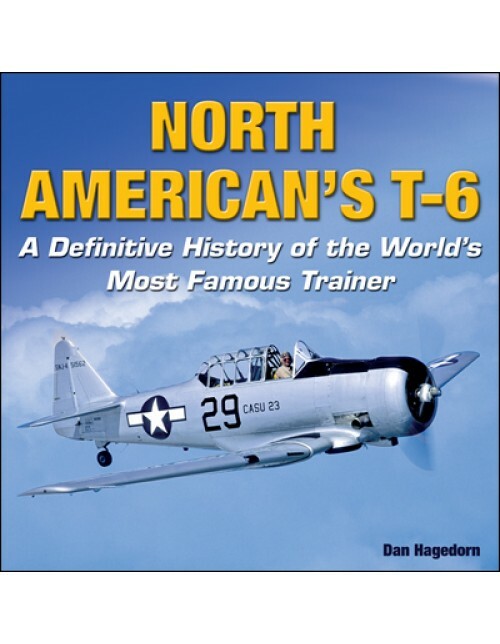 North American's T-6: A Definitive History of the World's Most Famous Trainer is the book the world's extensive T-6 community has been waiting years to have. Author Dan Hagedorn, Curator for the Museum of Flight in Seattle, Washington, combines his professional documentation skills with rare access to valuable North American archival material to write the definitive book about one of the world's most beloved World War II aircraft. The T-6 served as an advanced trainer for military pilots from more than 80 nations around the world for several decades. In addition to highly detailed documentation of every T-6 variant used by both the U.S. Army Air Corps and U.S. Navy, all foreign T-6s manufactured in America or exported overseas are listed by individual country as well. Of the nearly 16,000 T-6s built, many hundreds are still flying today as prized restored collectibles or airshow performers, giving this book a large potential readership. "No other volume distills the remarkable T-6/Harvard into such a convenient compendium. Dan Hagedorn and Specialty Press have undeniably produced the definitive handbook of this legendary design." "This is not one of those titles that will linger on the shelves to gather dust, but one that will be read and re-read many times. It would be a bit of an understatement to say that this is a book that I highly recommend. If you are a fan of the T-6, you simply must have this one. It is that good." "This title literally claims to be the definitive title on the T-6 and I'd have to say that once again Specialty Press lives up to the title. Like other titles from this publisher it leaves little out and is presentated in a format that makes reading it a pleasure and not a chore like some other titles I have read already." "Overall, this is an excellent book on the T-6, and probably the best history of the production of the type." "Highly recommended reading, and a must for your aviation reference library." "A must for anyone interested in one of North America's finest aircraft. Highly recommended." "Good writing, bright crisp reproduction, excellent paper - what more could one want." "This is a high subject to cover, but the author has done a very good job and packed every page with a mass of information. Coupled with all the images and manual extracts and diagrams it is a must for anyone interested in the AT-6/T-6 series." "This book is the best of both worlds: all the vital facts and all the interesting ones." 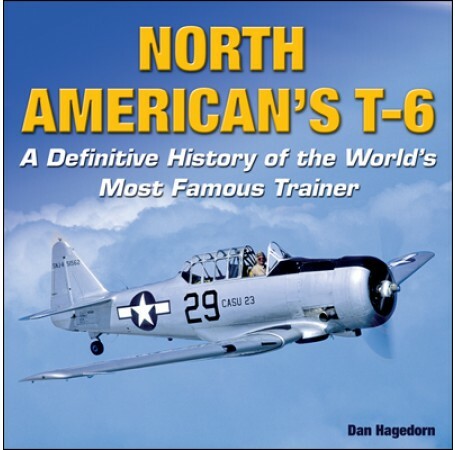 "Dan Hagedorn's book should satisfy anyone who is interested in the T-6 and its variants." Dan Hagedorn, Sr., Curator and Director of Collections at The Museum of Flight at historic Boeing Field in Seattle, Washington, is a graduate of Villa Maria College, the State University of New York, and the Command and General Staff College (U.S. Army, post-graduate). He was previously Adjunct Curator and Research Team Leader at the National Air and Space Museum, Smithsonian Institution, Washington, DC, for 19 years. Prior to that, he served in the U.S. Armed Forces for 27 years in leadership and intelligence positions worldwide and has, to date, authored 21 monographs or books detailing various aspects of aviation and aerospace history. In conjunction with the 150th Anniversary of the Smithsonian Institution, he was named an Unsung Hero of the Smithsonian Institution and was awarded the Orden Merito Santos-Dumont by the Brazilian Government for services to Latin American aviation history, in which he specializes.